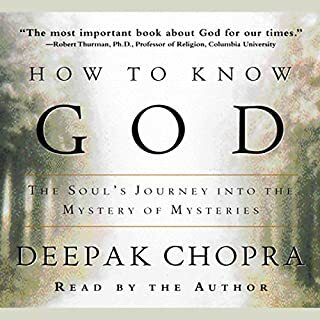 Deepak Chopra has touched millions of readers and listeners by demystifying our deepest spiritual concerns while retaining their poetry and wonder. Now he turns to the most profound mystery: What happens after we die? Is this one question we were not meant to answer, a riddle whose solution the universe keeps to itself? Chopra tells us there is abundant evidence that "the world beyond" is not separated from this world by an impassable wall; in fact, a single reality embraces all worlds, all times and places. At the end of our lives we "cross over" into a new phase of the same soul journey we are on right this minute. By bringing the afterlife into the present moment, Life After Death opens up an immense new area of creativity. Ultimately there is no division between life and death - there is only one continuous creative project. Chopra invites us to become cocreators in this subtle realm, and as we come to understand the one reality, we shed our irrational fears and step into a numinous sense of wonder and personal power. This is excellent book to explore the possibilities of life and death. 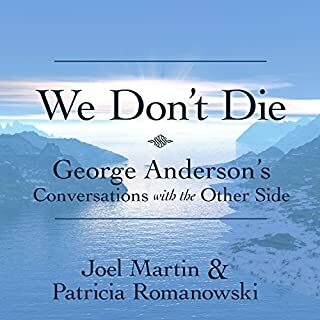 If you beleive the life after death possibilities in this book you will not only not fear death but start looking at life in a richer perspective. Shishir has an excellent narrator's voice and he made it a very interesting listen. Enjoy!! Excellent job by narrator. Extremely enlightening and informative information provided from Deepak Chopra. 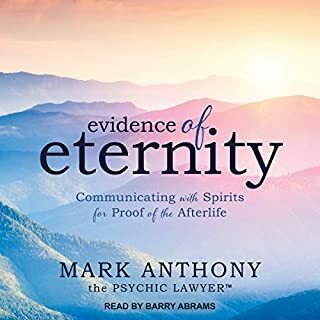 I bought this download after the death of my brother to use as a tool to help me develope and get a better understanding of my own beliefs on what happens to the soul after it leaves the human body. It was a good decision and great buy, for sure. I felt that Chopra dealt with an incredibly difficult topic with grace and ease. His writing was flawless, straight-forward and elegant at the same time. Well worth it. Very enjoyable narration. I loved the slight accent of the narrator, clear and intelligent voice, and especially his switching to various "American" accents when reading people's experiences being quoted. The best part was when he did the parrot's voice. Very fun. With regard to the negative reviews I read before purchasing this book, I feel that those people would have probably enjoyed the books that tell individual stories of NDE, OBE, or Life Between Lives and that this book is more enjoyable for those of us who have read many of those books already, and now this is more a contemplation of the forest rather than a look at each tree. 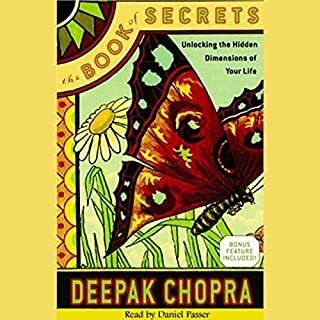 Especially enjoyable were the recent works by other authors and researchers discussed, showing that Deepak Chopra is in touch with current lines of thought and considers and distills information and discusses the significance. Too often I have read books and listened to talks by authors and researchers and when they are asked about others doing similar work they have no idea who the other person is and what they have accomplished. In a way, that is good so their work is only theirs, but what a shame that these people who have so much in common have never met. It is delightful how Deepak Chopra ties ideas together, and also gives credit and shines a light on others' work too. you can't go wrong with 'Pak Chopra... never. such an intelligent, out of the box thinker. Comforting and lasting awareness through both story and documented scientific studies. The last few chapters particularly enriched my life view. The confusion and burden of doubts that led me to find this book are entirely lifted. I feel blessed to have found this book and will return to it again and again, no doubt; for it's richness is many layered. This just help clarify what I have already found to be truth from my many years of study. I started listening to this book as a palate cleanser after Betty Eadie's first book. Annoyed at how Eadie perceives everything through her Christian filter, I was hoping Chopra's work would provide a broader, more multicultural perspective. And it first he does well, bringing a wide angle lens approach to the topic. However, when nearly halfway through the book he begins to ignore information and evidence that contradicts his Hindu Rishi's perspective, he loses all credibility and is as bad if not worse than Eadie. One can understand Eadie seeing a being of light and calling it Jesus, but Chopra's educated background provides him no excuse. 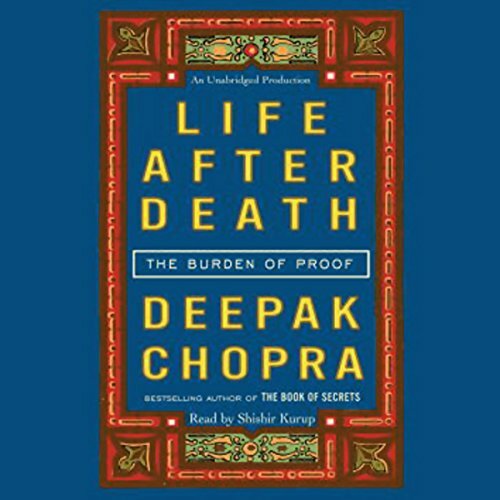 Would you consider the audio edition of Life After Death to be better than the print version? 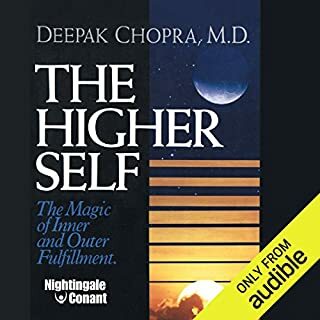 I have not read the print version, but this audio version is brought to life by Shishir Kurup, who should narrate all of Deepak Chopra's books! This is a thought provoking book, as has already been mentioned, and, like other reviewers, I am no stranger to some of the philosophy discussed. However, this is a book of many facets; the philosophy is interspersed with both psychological reasearch and Indian traditional tales. Shishir Kurup narrates beautifully, unusually for Audible. I was disappointed to reach the end. Dr. Chopra continues to bring joy and lightness to all who read, listen and learn from his extensive research and exquisitely profound writings and teachings. 'Life After Death' is a great summary on age old Eastern Philosophy and Contemporary Science on life, components of life, consciousness and death. Shishir Kurup's narration made it interesting too. 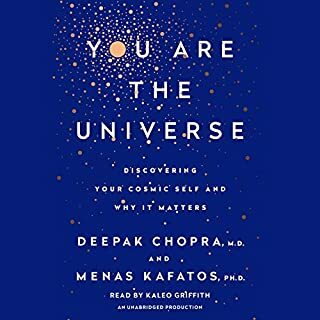 I will strongly recommend it to anyone who has embarked on a journey to know and understand themselves and the universe surrounding them.